Kayaking is one of the most relaxing recreational sports you can participate in, but if your kayak isn’t rigged out to provide you with optimal comfort, you could soon start having second thoughts about the whole deal. You kayak seat is one of the most important comfort features on your boar, which is exactly why you need to invest in the best kayak seat currently available on the market. But with the plethora of choices out there, how do you pick just one that’ll provide you with the most comfort? You’ll need to purchase a kayak seat that has enough padding to support your back and provide you with optimal comfort for long-distance paddling. The bottom padding along with the back padding of the kayak seat should be thoroughly reviewed before you make your final decision. Depending on the type of materials that were used for the construction process, kayak seats will have variable life spans as far as durability is concerned. Make sure you check out the seat’s structure to see whether it was made with UV Resistant materials, which will ensure the nylon pack won’t fade. Your budget will play a major role in determining which aftermarket kayak seats are in your field of play. Keep in mind that spending a little more on a good aftermarket seat can save you money in the long run since you’ll only have to make a once-off substantial investment, avoiding the issue of having to buy a new seat every other season. Kayak seats come available in a wide variety of different structural support designs and back lengths. The higher the back of a kayak seat, the more support it should offer the paddler, even more so when you’re paddling with very long paddles. 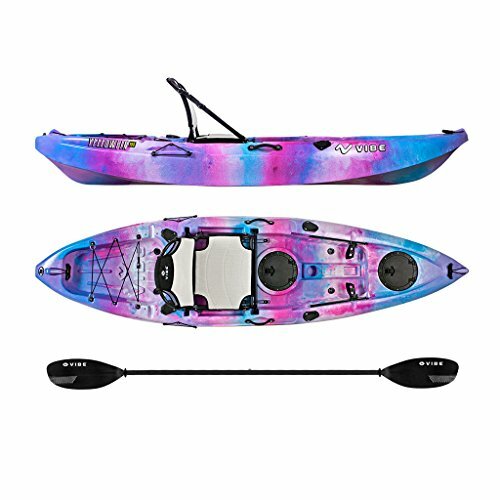 If you need agility out on the water and you’re navigating through a lot of tight spaces more often than not, a high-back seat might be a limiting feature of your experience, which means that you should rather look at purchasing a kayak seat with the flexible framework and a lower back. There are a few features on kayak seats you’ll need to look out for when it comes to investing in the best. Some kayak seats come with backrests that feature mesh panels; these are ideal for allowing humidity and moisture to escape, so make sure you try and find a seat like this. Also, make sure that the seat you have in mind sports water resistant or water repellent materials, even more so if the materials cover up foam. Just like the varieties of different kayaks out there were made with various applications in mind, many kayak seats are best suited each to his own intended use. Before you buy a kayak seat, go ahead and make sure it’s suitable for your intended purpose for it. As far as flexibility goes, Sit-On-Top kayaks are probably the most versatile since they’re able to accept most styles of kayak seats. Other kayaks such as sit-in’s, fishing kayaks, whitewater kayaks, and touring kayaks will probably work best with seats that have been custom designed according to specific dimensions. That being said, it’s time we showed you what some of the best kayak seats on the market today looks like! Designed for maximum comfort, the GTS Expedition Molded Foam Kayak Seat comes in as our number one pick for this roundup. With an overall length of 18 inches, the seat is constructed from thermoformed foam, which helps provide paddlers with fantastic back support. This chair also features grooves which have been inserted into the design to provide spine-hugging comfort and lumbar stability specifically. We like the idea that this seat has a 2-inch thick bottom and features channels, perfect to help wick any moisture and humidity away from your body. The Ocean Kayak Comfort Plus Seat Back is an excellent choice if you’re looking to invest in one of the best kayak seats currently available on the market. This seat has an incredibly soft and comfortable back piece, and since it’s manufactured with durable UV resistant materials, this seat will last you for many seasons to come. The Ocean Comfort Plus Seat Back comes with a 4-way adjustable mounting-strap system, which ensures that the seat can easily be adjusted for maximum comfort. If you’re looking for a kayak seat that has been designed specifically for sports performance, the Yak Gear Manta Ray kayak seat might be ideal for you. It can be used with canoes, sit-on-top kayaks, and sit-on-top kayaks. 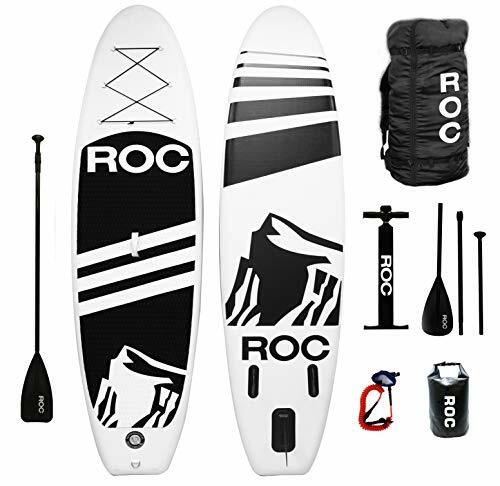 Measuring in at 19 inches tall and sporting a 1-inch thick back, this seat provides paddlers with ultimate support for long-distance paddling. It also comes with a 15-inch thick bottom, and since it’s made with 1-1.5 EVA foam for superior comfort. To help ensure that any moisture and humidity is wicked away from your body, the bottom of the seat features water gutters which help channel water away. Paddlers looking to invest in a kayak seat that offers excellent lumbar support and cushioning need to seriously consider the Skwoosk High Back Kayak Seat as an option. Made with Air-Flo 3D Fabric, this seat features a gel cushion made of TekPad Fluid, which was designed to specifically help the kayak seat stay cool and firm, which promotes comfort over long distances. The side wings of the Skwoosh seat are fully adjustable and the backrest contours according to your body type. Reinforced with fiberglass, this seat will give you more strength, stability, and power than most of its competitors out there. Kayakers that want to invest in an aftermarket kayak seat but do not have the luxury of splurging on a top-of-the-range will be happy to learn that there are still a few budget options out there they can consider. One of the best budget kayak seats out there is the Vibe Deluxe Cushioned Kayak Seat. This seat is great because it won’t blow your budget and still provides you with the needed support and adjustability you’d want to see in a great kayak seat. If we had to single out just one of these kayak seats as the overall winner of this roundup post, it would have to be the GTS Expedition Molded Foam Kayak Seat. We love the support and comfort features that this seat boasts, and the fact that it was designed as a sports performance seat just seals the deal for us. If you’re unable to afford something like GTS, we’d recommend scaling it down and opting for something more along the lines of the Vibe Deluxe Cushioned Kayak Seat. We hope that this post has shown you everything you needed to know about the best kayak seats and what the benefits are of using them. Investing in one of the best aftermarket kayak seats might just be one of an essential add-ons you ever purchased for your kayak, and one of the pieces of gear you won’t be able to live without after you’ve experienced the benefits of having them around!